Tomorrow, 5.03.2014, at 11am, Records with Merritt will open its door, closing at 7pm. 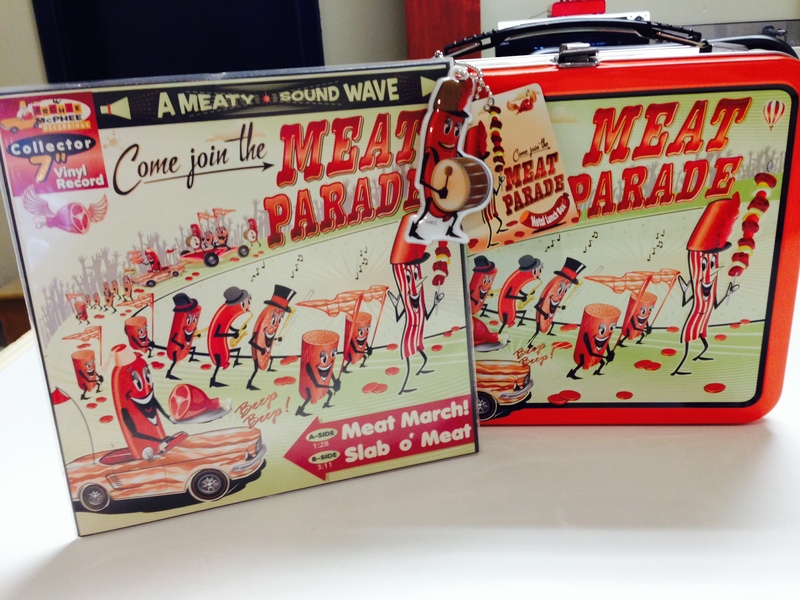 Come down, visit, shop, talk music and don’t forget to register for our first give-a-way, a limited edition, collector 7″ vinyl Meat Parade Sing-a-long and lunch box (see picture above). No purchase necessary. We will draw for the winner on Tuesday, 5.6.14. Good luck and good meat! ← We Are Counting Down!